Move your body out of the line of attack, flowing with the thrust. Dodge uke's thrust by stepping to the right rear. Step back with the left foot. Drop to your left knee and protect the left side of your face. 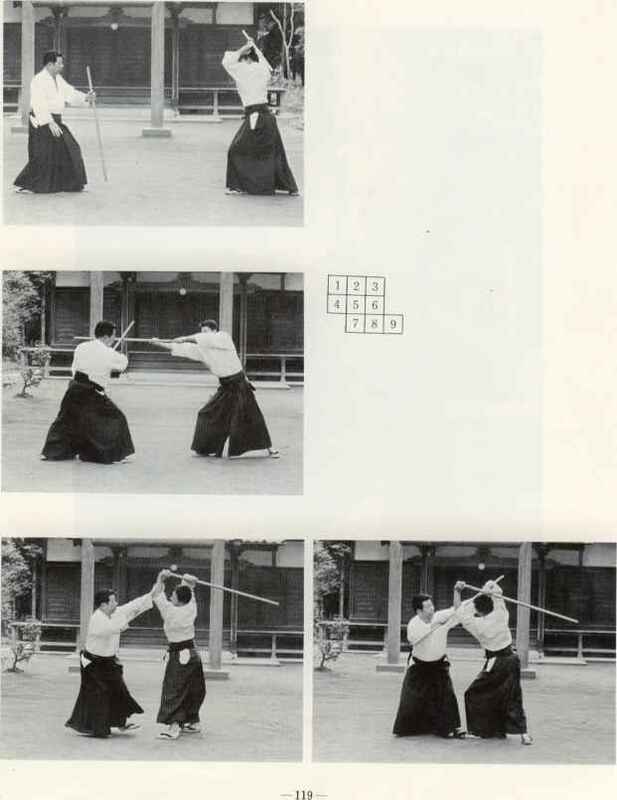 During your defense adopt the hito e mi stance and thrust. 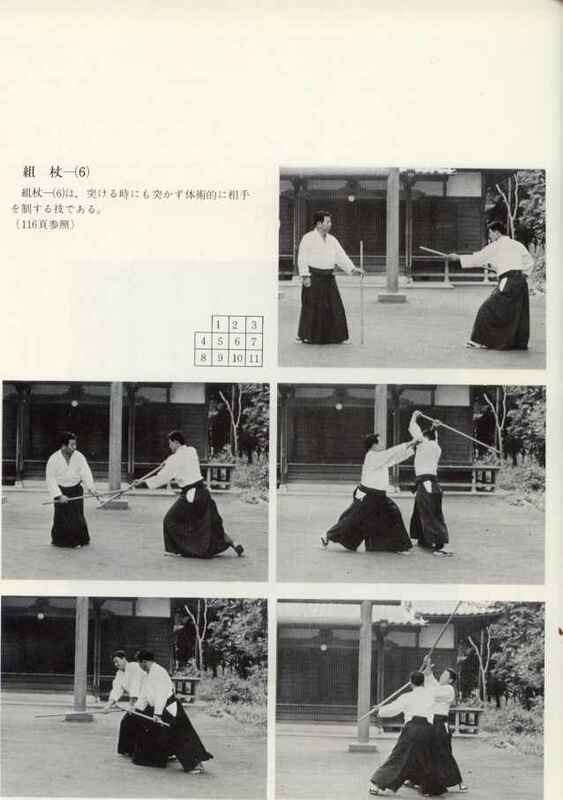 The Sixth Kumijo is for controlling the attacker through taijutsu style movements. During the defense, one does not thrust even though it is possible to do so. 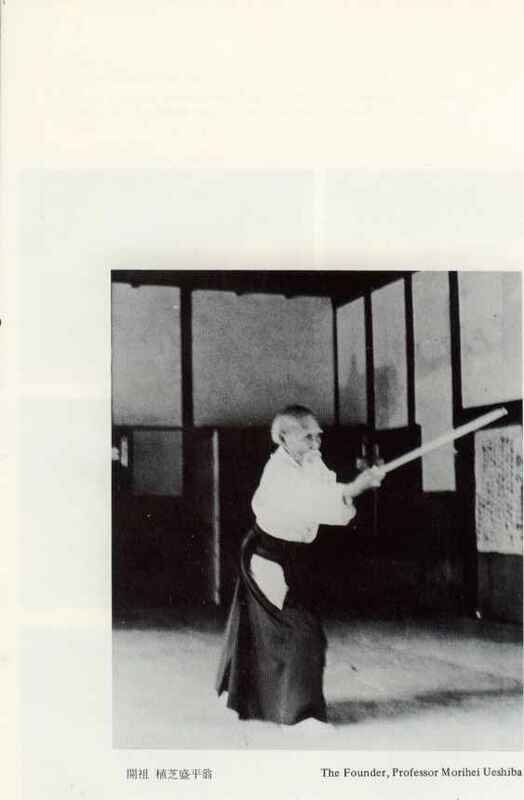 Step to the left, move out of the line of attack flowing with the opponent's thrust. Move lightly to hold his jo down. Step forward with the left foot and raise the jo to control the opponent's elbow. 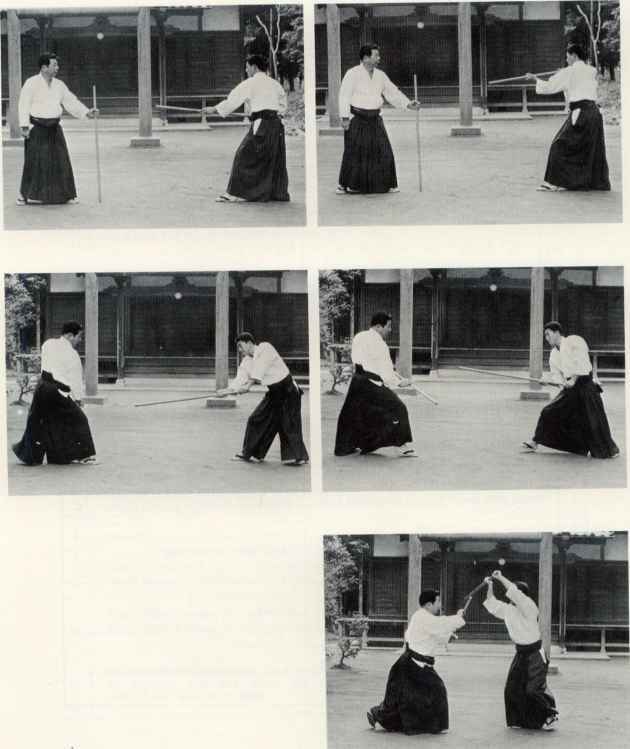 Move around widely to right hanmi and pass your jo between the opponent's arms. 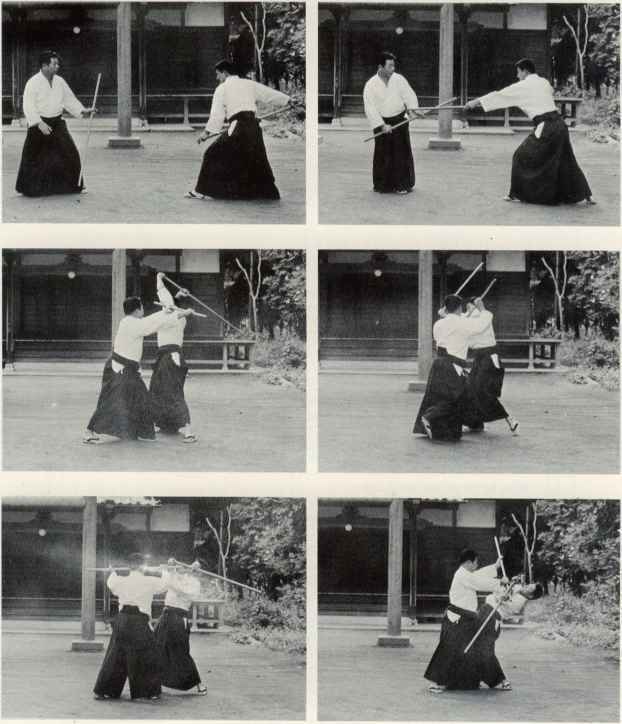 As he raises his jo to strike, move in with his motion, turn and throw him by control over both of his arms. Step back with the left foot and block his strike. Be sure to grasp the jo with the right hand under the left. Strike down at uke's leg. With the right foot, flow forward to the right front. Step on the opponent's left foot, extend the jo against his arms and fell him. 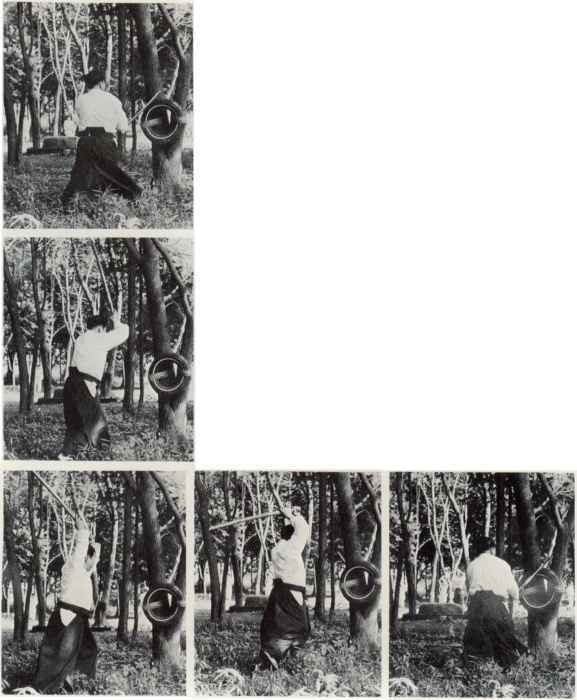 Strike down with the left foot forward.